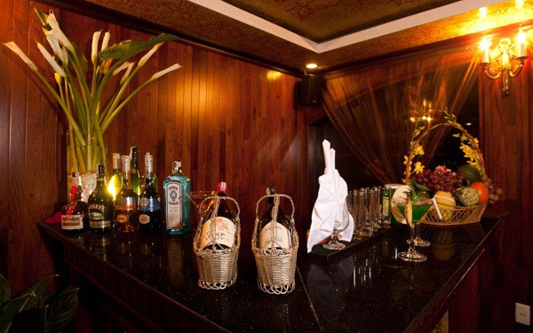 The Valentine Premium launched in June 2010, is perfect for those seeking a more exclusive and intimate experience. 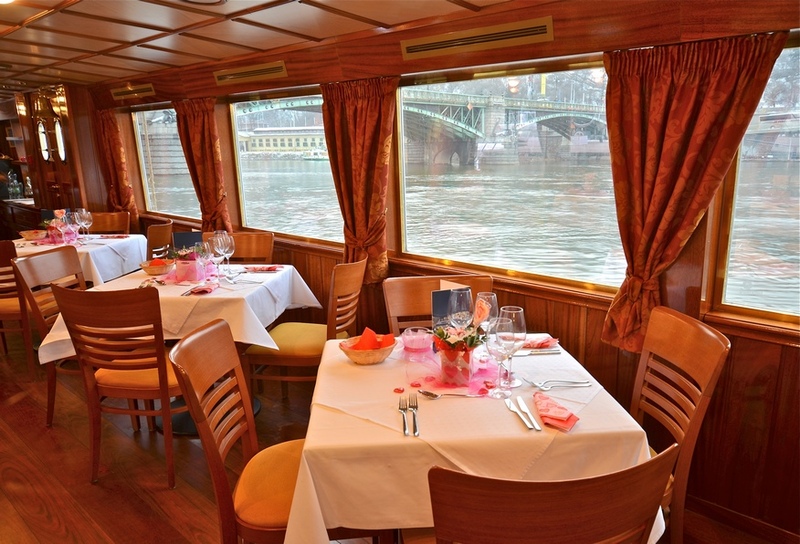 Valentine is a full service vessel offering all the facilities and amenities of our larger boats, but with only two deluxe cabins (22 square meters). 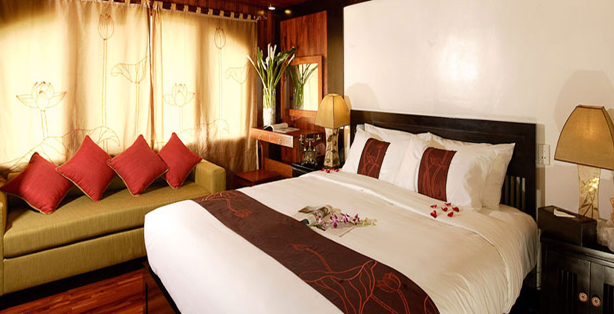 Our itineraries are designed to maximize your holiday experience and enjoyment; included are daytime excursions to the largest floating fishing village on the bay and to an island featuring swimming and a climb to the best panoramic view of the bay. We offer kayaking through caves into peaceful lakes surrounded by limestone mountains. We also tour one of the bayâ€™s largest and most spectacular indoor caves, Sung Sot or Surprise Cave. Evening activities include an assortment of board games and film entertainment, and fishing for squid from the boat with our crew. We also offer, in squid season, an evening excursion to a nearby squid fishing boat for an up-close look at the local fishermen plying the waters of the bay for squid and other fish. 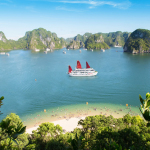 We offer kayaking in all of our itineraries for a unique opportunity to see some of Halong Bayâ€™s most interesting scenery while being as close to the sea as possible. Our kayaking excursions incorporate paddling through amazing caves and into placid and peaceful lagoons bringing you as close to the wildlife of Halong Bay as possible. Sightings of monkeys and bats are often part of the excursions. Onboard massage services are available as well to enhance your cruise. 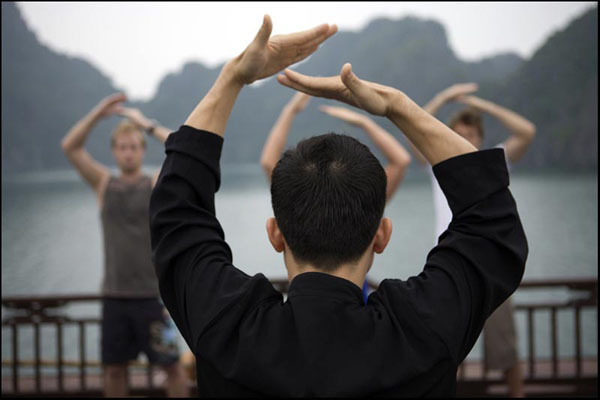 Each morning we offer our guests a unique start to their day; Tai Chi on the sundeck . They may join our Tai Chi masters for an introduction to this ancient form of meditative exercise. By imitating the movements of the instructor one will benefit externally and internally, physically and mentally, enjoying a balance and unity of the outer and inner self. 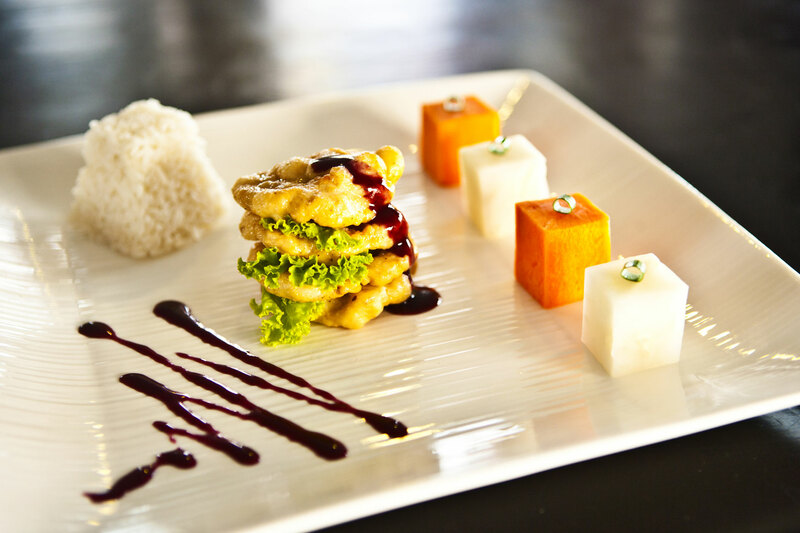 13.00 Lunch – enjoy deluxe Vietnamese and International Set Menu Lunch. Massage service available beginning after lunch and throughout the cruise. Please book in advance with your Cruise Manager. 14.45 Arrive at Luon Grotto. 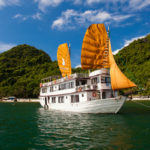 Depart from the boat and journey past such popular sites as “Đầu Người” Head Island, “Con Rùa” Turtle Island and “Cổng Trời” Heaven’s Gate Island on the way to the cave. There are two options for exploring the cave and surrounding area. One option is to transfer to small bamboo boats which are rowed by the local people. The second option is to travel by kayak (passengers row kayaks for themselves). The kayaking option is $10.00 per person unless pre-booked. 16.00 Arrive at Titop Island. Enjoy swimming, relaxing on the beach and climbing the steps to the top of the mountain on the island for fantastic views and photo opportunities. Water and towels will be supplied. We will spend about 45 minutes on the island. 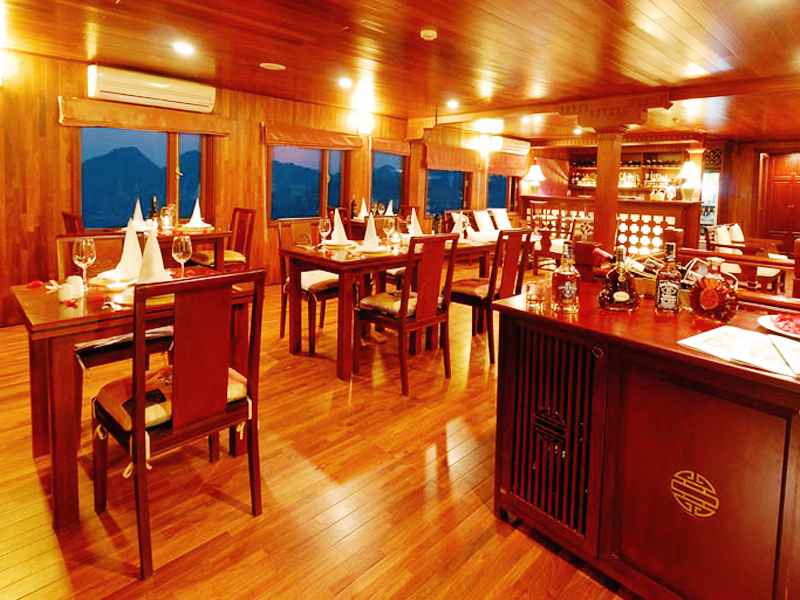 19.15 Dinner – deluxe Vietnamese & Western Buffet or Set Menu Dinner. 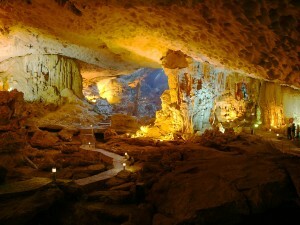 07.00 Arrive at the Surprise Grotto (Sung Sot grotto) area. There is a small fishing village here. 07.45 Transfer by tender to the Surprise Grotto. Walk up about 100 steps to the cave entrance and tour the cave for approximately 45 minutes. Walk down about 100 steps and return to the boat. 14.45 Arrive at Luon Grotto. Depart from the boat and journey past such popular sites as “Đầu Người” Head Island, “Con Rùa” Turtle Island and “Cổng Trời” Heaven’s Gate Island on the way to the cave. 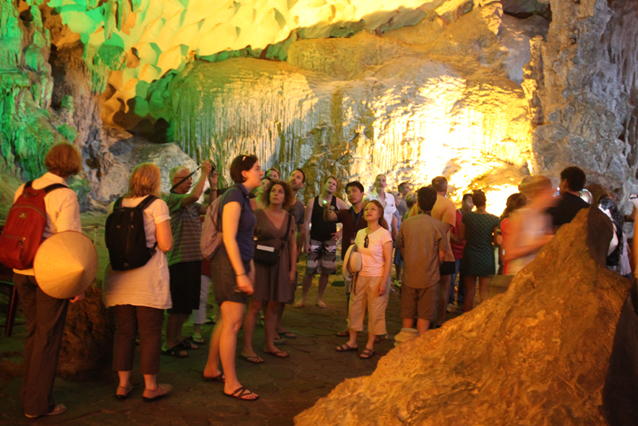 There are two options for exploring the cave and surrounding area. One option is to transfer to small bamboo boats which are rowed by the local people. The second option is to travel by kayak (passengers row kayaks for themselves). 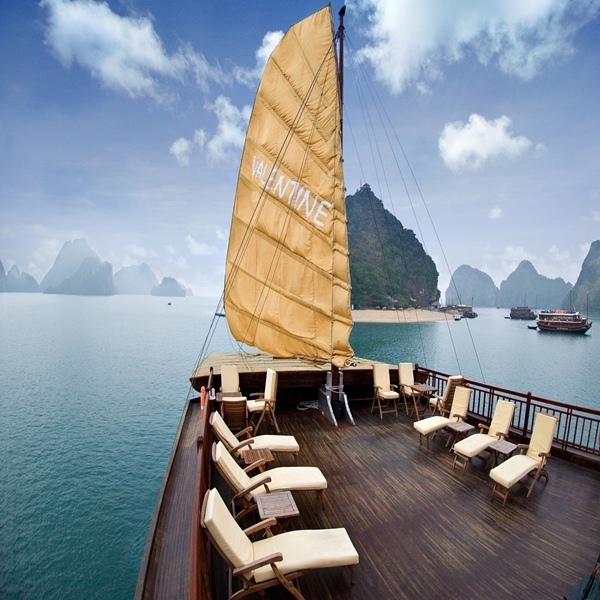 16.00 Return by tender to the Indochina Sails boat. 18.30 Arrive at Luon Bo area – anchor for overnight. – Insurance, Taxes and Service Charges. 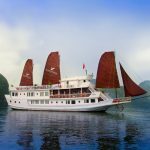 – Cruise itinerary and tour schedules are subjects to change upon weather conditions without prior notice. 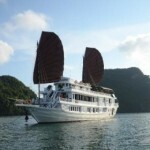 – There and many different cruises and itineraries. 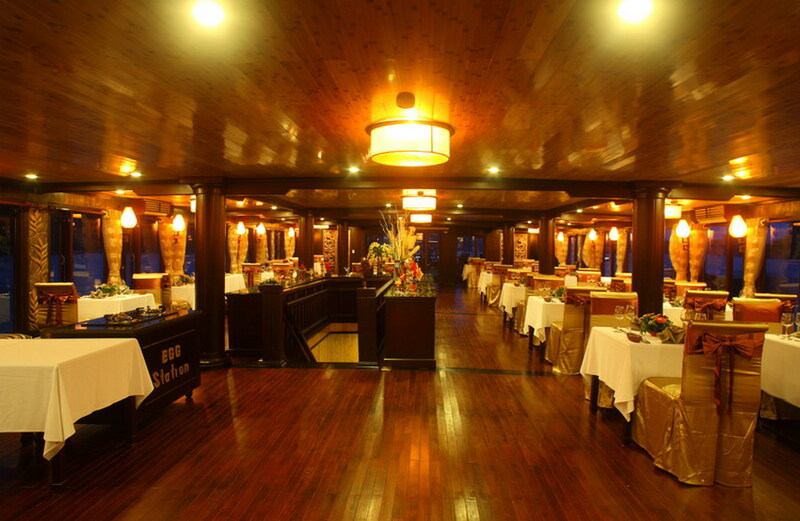 Please contact our travel consultant for further details to meet your expectations and get your best cruises rates.